It's a big deal, so we wanted to celebrate our centennial post with a look back at some of the highlights from our first nine months. 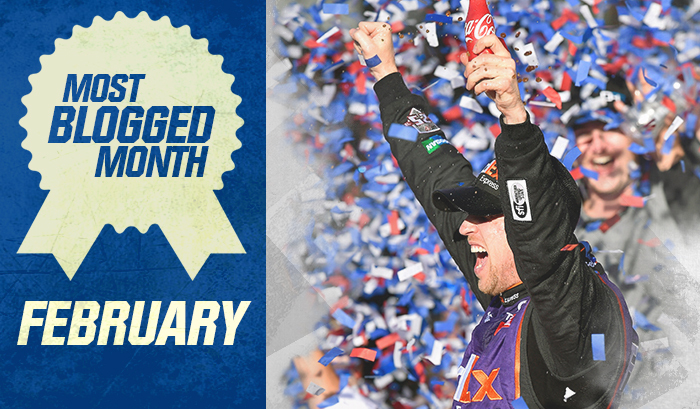 Don't forget to comment below to join in the celebration... and earn a chance to win a special prize! 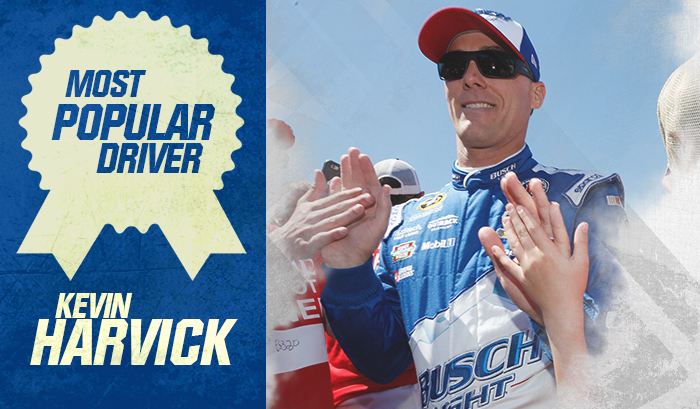 Sure, Junior's won NASCAR's Most Popular Driver award 13 years running, but the RIR honors go to.... (drumroll please).... Kevin Harvick! The 2014 Sprint Cup Champ has made in appearance in 15 (well, technically 16 now) of our 100 entries so far. I guess racing in back-to-back Championships helps keep your name top of mind in NASCAR circles. The RIR crew road tripped it down to central Florida for the season's launch and took our readers along for the ride. 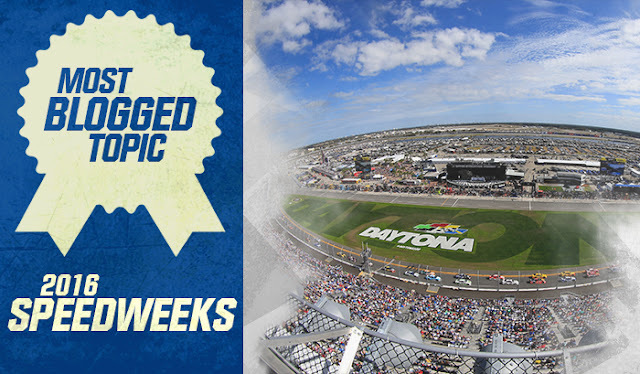 With daily storylines, photos, videos and more - our 2016 Speedweeks coverage included everything from Media Day through the Daytona 500. "I'm a Virginian. Born. Raised. Educated: school and sanctuary and stadium." 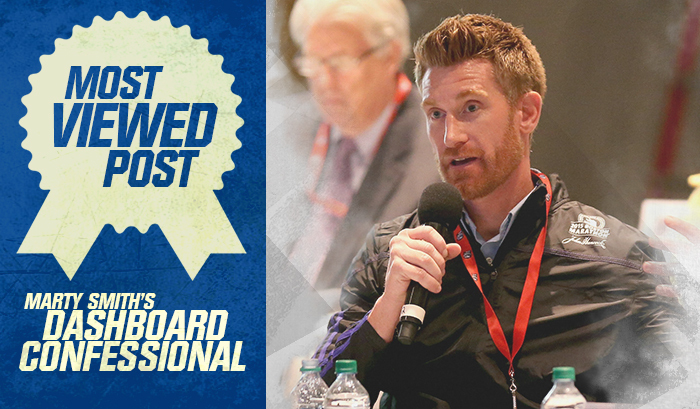 Few have been able to explain the storied history of racing in the Commonwealth as profoundly as ESPN's Marty Smith, who guest wrote an article for RIR earlier this year. With over 2,800 views, his Dashboard Confessional is far and away the most viewed entry on our blog, and it's easy to see why. 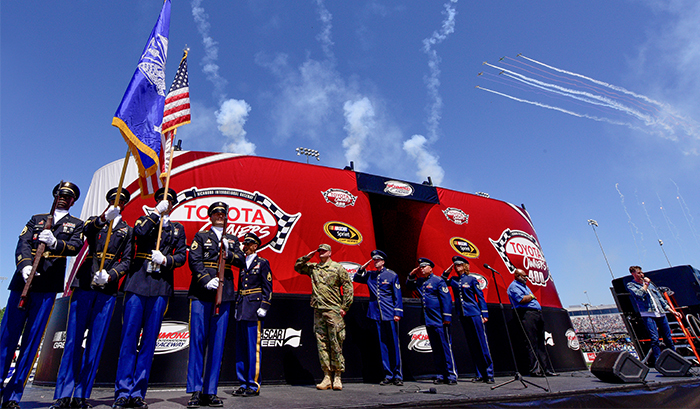 Trent Harmon's moving National Anthem performance prior to the 2016 TOYOTA OWNERS 400 created a lot of buzz on event day, so it's no wonder our Pre-Race Ceremony recap has been the most popular post on social media to date. No other entry has scored higher engagement on Facebook and Twitter and, like his performance, it'll be a tough one to top. 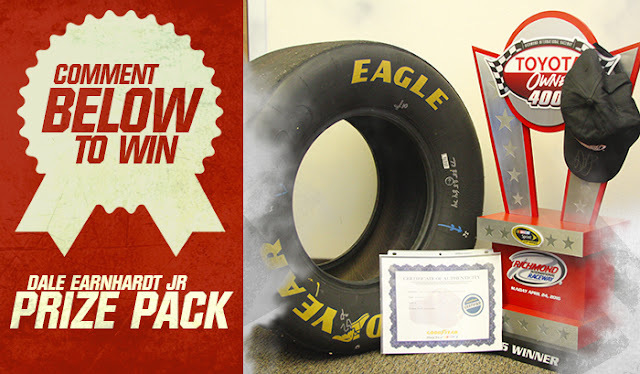 To keep the celebration going, we're throwing it back to the 100th Cup race at RIR, the 2006 Crown Royal 400 won by the one and only Dale Earnhardt Jr.
Congratulations to Jacob Spears, winner of out 100th Blog Post Contest!! 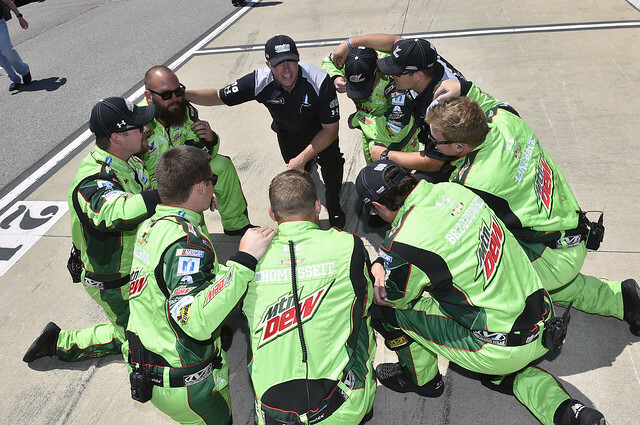 There's something to the importance of a first impression and the Pre-Race Ceremonies before the TOYOTA OWNERS 400 certainly delivered on Sunday. Start with a flame-filled Driver Introductions that included the 2016 debut of three-time Sprint Cup Champion Tony Stewart, add in an emotional tribute to our nation's service members, and finish with an incredible performance of our National Anthem by a rising star (punctuated by a six plane flyover, no less) and you've got something special. You can relive it all here with us. Ashlyn Newman's reaction sums up our thoughts better than words ever could. 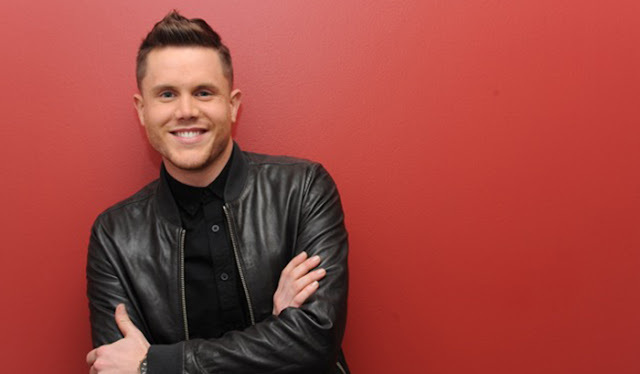 From the Hollywood stage to the River City, American Idol Season XV winner Trent Harmon will perform the National Anthem prior to the TOYOTA OWNERS 400 this Sunday, April 24 at Richmond International Raceway. 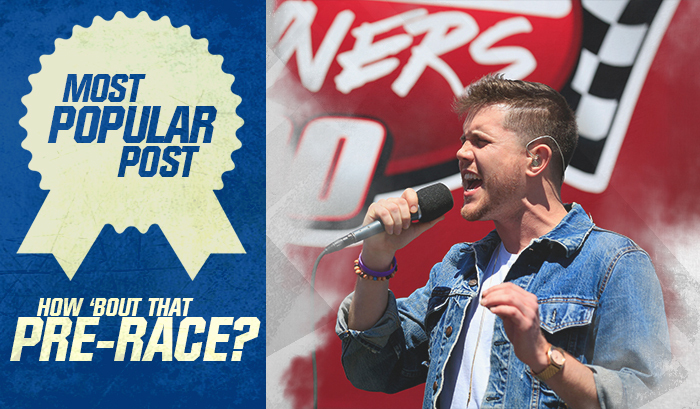 Harmon previously performed at the Auto Club 400 alongside Idol’s Top 5 contestants in March. The Mississippi native has traveled coast-to-coast since earning the ultimate American Idol honors, debuting his Country single “Falling.” The track was written by Idol judge and Country superstar Keith Urban with Dallas Davison and Brett James. Harmon performed his coronation song during the series finale surrounded by Idol alumni and fellow contestants. “We had the privilege of singing ‘God Bless America’ while filming American Idol. It was an amazing feeling and I am very excited and humbled to get the chance to return to the raceway and sing the National Anthem,” shared Harmon. Harmon will serve as the headliner to the Pre-Race Ceremony for the TOYOTA OWNERS 400, which will also include a performance of “God Bless America” by the USAF Heritage of America Band, skydivers and a six-plane flyover by the Bandit Flight Team. Already in the studio, Harmon is eager to get to work on his debut Country album for Big Machine Records. For the latest updates, follow Harmon on Twitter. Great seats are still available for the TOYOTA OWNERS 400 race weekend at RIR. Tickets for Sunday’s race start at $40, and every admission gets you access to Track Takeover Driven by AAA, which gives fans access to the track just hours before the NASCAR Sprint Cup Series event. Click here or call 866-455-7223 to purchase. Fans unable to attend the event can tune in at 1:00 p.m. EST on FOX.